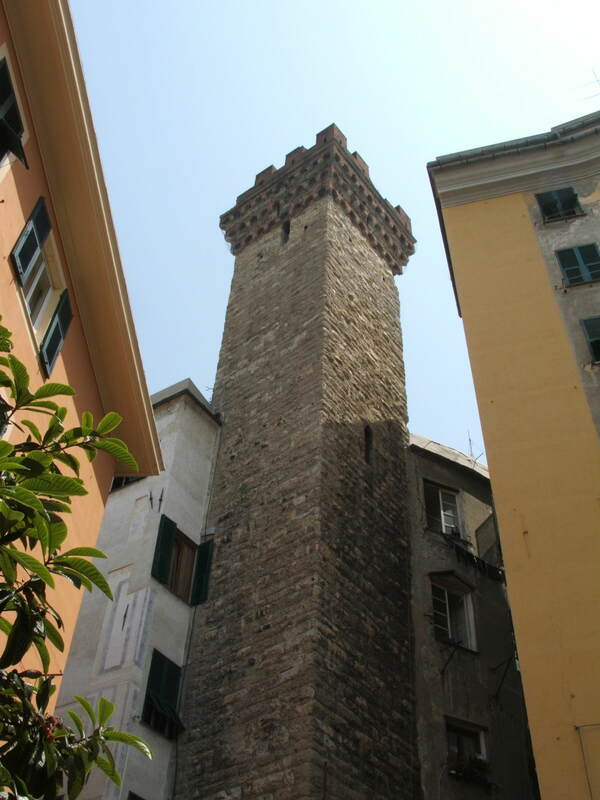 Nearby the Chiesa di Santa Maria di Castello, set among other buildings, rises the high Tower, traditionally known as “degli Embriaci”, which owes its name to Guglielmo "Testa di Maglio" (Hammerhead), conqueror of Jerusalem and Cesarea Maritima during the First Crusade in the 11th century. The tower leans to a palace that was the first property of the Cattaneo family and then of the Brignole Sale family – which gave it its name – and finally by the Brignole family, that gave it the current structure. At the end of an important research and of archeological excavations on the hill of Castelletto, it was established that the Embriaci tower and palace should be placed more to the east, where now resides the ex convent of Santa Maria delle Grazie la Nuova (today, Casa Paganini). Then the Tower of Piazza Embriaci should be attributed to the important De Castro family, and to the Primo di Castello who was one of the protagonists of the First Crusade fighting side by side with Guglielmo Embriaco. 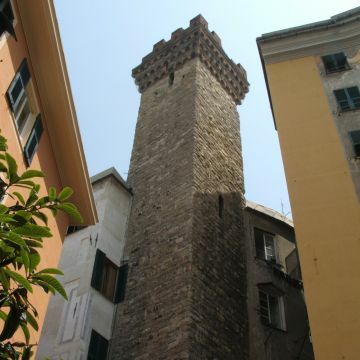 It is one of the few remaining medieval familiar towers of the Historic Centre; it is 165 span high, and it is the only one that obtained the permit to be more than 80 span high after the introduction of the rules that wanted to stop the construction of higher and higher towers by Genoese families in 1296. In 1926, a restoration of the roof added the Guelf battlements.